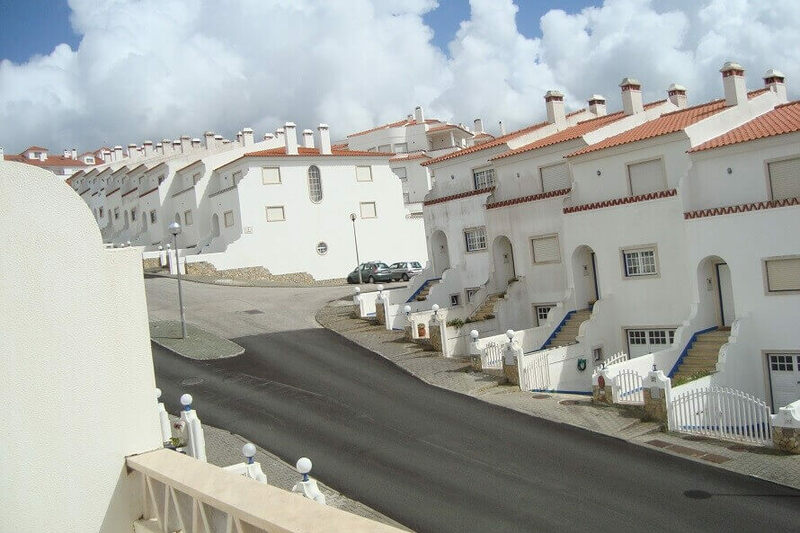 Nice Villa for holidays in the center of Ericeira overlooking the sea. With two bedrooms, one with double bed and the other with two single beds. Fully equipped kitchen with washing machine and dishwasher stove, microwave, refrigerator, coffee maker, kettle, toaster, cutlery, etc. Living room with sofa bed, dining table, TV, internet Hi-fi. Ideal for four people +1 person (sofa bed) Outside: Terrace with table, chairs, sun-hat and barbecue. Super Gastgeber. Hielt vor und während des Aufenthalts Kontakt. Es ging uns ein Türschloss kaputt - war schon repariert als wir wieder nach Hause kamen. Tolles kleines Haus mit 3 Terrassen und zwei Bädern. Schön ruhig. Parkplatz vor der Tür kein Problem. Supermarkt fußläufig. Soberbo La casa esta en un buen sitio ya que permite moverse andando hasta el centro al mismo tiempo que esta en una zona tranquila. Fue muy facil coordinarse con los propietarios y recoger las llaves. Siempre estuvieron disponibles cuando les necesitamos. "Encantados con la estancia" la casa está bien acondicionada y muy limpia.El trato con la propietaria y la persona que te atiende por teléfono ha sido excepcional.Gracias por todo!! We stayed as a small family a great week holiday here. Everything was very clean. There are all the items you need for a good comfort. Nicely furnished and a sufficiently large kitchen we found. To the rear there is a nice little garden with terrace and a great grill. I have rarely had so well organized accommodation for the price. The location is also recommended. Plenty of beaches just nearby and enough shopping to go. Ericeira is a beautiful small fishing village and home to many surfers. Good food, lots of great bars and we always had good food. Rui and his team have everything in the grip, are very attentive and always helpful. Thank you very much we had a lot of fun. Greetings Jan, Mel and Leo. We really enjoyed our stay in Rui's place in Ericeira. The house was located in a quite neighbourhood, very close to a nice beach and a pleasant walk to the town centre. House was very clean and had pretty much everything we needed. The property size was quite large, there was lots of space for 4 people to say comfortably. Landlord lady was very welcoming and helpful. Good and comfortable accommodation close to the beaches and city center. Very friendly reception from the host and house keeper. Is highly recommended. Rui es un anfitrión 10, muy atento con nosotros, siempre estuvo dispuesto a solucionarnos cualquier duda. Sobre la casa puedo decir que es realmente recomendable, se encuentra muy cerca del centro pero a la vez situada en una zona tranquila con poco ruido. Si te gusta surfear puedes ir caminando a varios spots cercanos. Es como se ve en las fotos, todo muy limpio y agradable. Internet Wifi con buena calidad y gran variedad de canales de tv. Es muy probable que repitamos, gracias Rui!